An attractive and historic town is well worth a visit and a good look around in its own right. 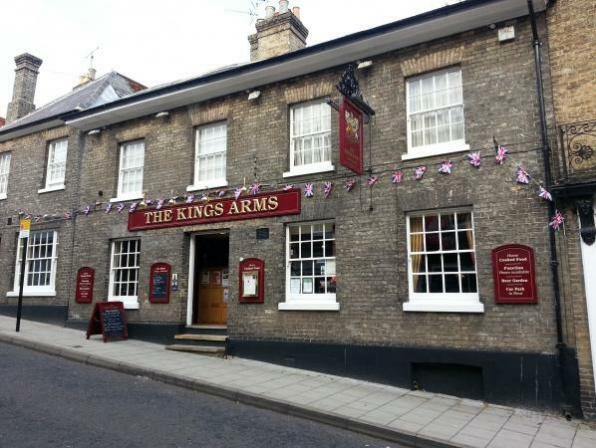 Of its numerous pubs, the nearest to the ground is the King’s Arms in Market Hill, a venerable wooden-beamed multi-roomed establishment (thanks to CAMRA’s whatpub.com website for the description!) with Adnam’s Bitter, Oakham JHB and Woodforde’s Wherry on tap, plus guest ales. Others nearby include the Eight Bells in Bridge Street (beer range varies) and the splendid-sounding Old English Gentleman in Gold Street (more Adnam’s and Woodforde’s). Plenty to savour there!